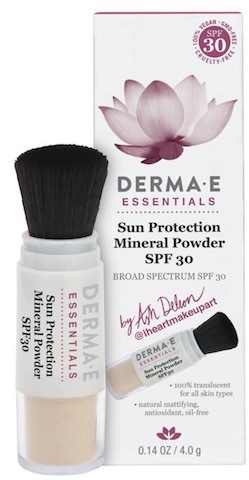 New DERMA E Sun Protection Mineral Powder SPF 30 in collaboration with Makeup Guru & Instagram Influencer Ash Deleon, @iheartmakeupart! This translucent non-nano mineral powder can be worn on its own or over makeup for a natural, flawless look. Easy to carry and to reapply throughout the day for all day sun protection. Directions: Apply with brush liberally and evenly to face, neck, and décolleté in a circular motion before sun exposure. Reapply after every 2 to 3 hours for all day sun protection and a flawless beauty finish. Inactive Ingredients: Mica, Silica, Caprylic/Capric Triglyceride, Tocopherol (Vitamin E), Chamomilla Recutita (Matricaria) Flower Extract, Camellia Sinensis (Green Tea) Leaf Extract, Capryloyl Glycine, Undecylenoyl Glycine, Iron Oxides (CI 77492, CI 77489). Warning: For external use only. Do not use on damaged or broken skin. When using this product keep out of eyes. Rinse with water to remove. 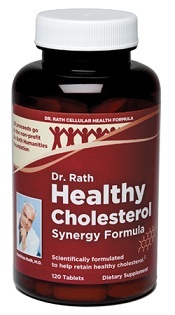 Stop use and ask a doctor if rash occurs. Keep reach out of children. If product is swallowed, get medical help or contact a Poison Control Center right away.